This cyber project has its geographic home at Trinity College at the University of Toronto. Once inhabited by the nations cited in the acknowledgement, the federal and provincial governments recognize the Williams Treaties of 1923 as having extinguished these nations and any other Indigenous nations’ title to the land upon which the university operates. These treaties occurred before the 1973 Calder case [see ATRIS INAC] which makes them historic treaties. Historic treaties were not as thorough as comprehensive treaties. The latter consider everything from the establishment of Indigenous governing structures to environmental protection in exchange for land rights, whereas, in general, the former included clauses only on reserve land, monetary compensation and hunting and fishing rights. Many have claimed that the Crown has not followed through on the promises that it made in its historic treaties. Nations that find themselves in this situation can submit a specific claims application to the federal government. There are many restriction to the grounds upon which a specific claim can be filed: harvesting, health and education are all invalid grounds. 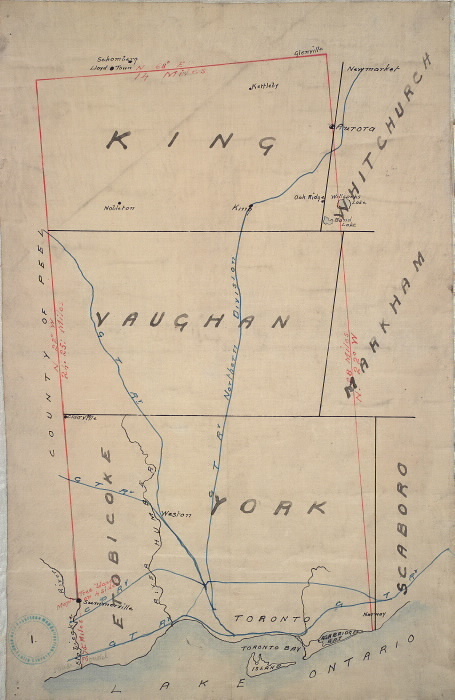 No nation has filed a specific claim on the land occupied by the University of Toronto, however the Chippewas of the Thames recently resolved a specific claim 200 kilometers Southwest of the university. In the 1930s, the crown sold over 5,000 acres of land of the Chippewas’ dedicated reserve land without consulting the nation. Through the specific claims process they got compensated for this dispossession with $120 million from the federal government in 2013. After almost 200 years of having their claims be ignored, the Chippewas have been compensated for the economic losses that the dispossession caused them. “ATRIS: Southern Ontario Treaties (1764-1862),” Government of Canada, accessed February 20, 2017, http://sidait-atris.aadnc-aandc.gc.ca/ATRIS_ONLINE/Content/TreatiesAndAgreementsView.aspx. Christopher Alcantara, “To Treaty or Not to Treaty? Aboriginal Peoples and Comprehensive Land Claims Negotiations in Canada,” Publius 38 (2008): 345-346, accessed February 23, 2017, doi: 10.1093/publius/pjm036. Surtees, Robert J., “The Williams Treaties,” Treaties and Historical Research Centre: Department of Indian and Northern Affairs Canada (1986): 1. https://www.aadnc-aandc.gc.ca/DAM/DAM-INTER-HQ/STAGING/texte-text/traw_1100100029001_eng.pdf. “The Specific Claims Policy and Process,” Government of Canada, accessed February 25, 2017, https://www.aadnc-aandc.gc.ca/eng/1100100030501/1100100030506. “Annex A: Specific Claims Snapshot,” Government of Canada, accessed February 24, 2017, https://www.aadnc-aandc.gc.ca/eng/1395851556693/1395851656888. “Harper and the Chippewas of the Thames Conclude Historic Specific Claims Settlement,” Chippewas of the Thames First Nation, accessed February 25, 2017, http://www.cottfn.com/band-entities/big-bear-creek-2/#1484855182432-0846218a-415d. “Specific Claims Snapshot,” Government of Canada, accessed February 25, 2017, https://www.aadnc-aandc.gc.ca/eng/1395939024596/1395939088362. Canada’s Parliament sits on land that two Indigenous nations claim they still have a right to. A government search engine called Aboriginal Treaty and Information System (ATRIS) is responsible for the easy accessibility of this information. Inputting Parliament’s postal code into ATRIS informs users that the Algonquins of Ontario and the Algonquin Anishinabeg Nation are in the midst of comprehensive land claim processes with the federal and provincial governments over areas of land which include Parliament. Comprehensive land claim processes ensure that the federal and provincial governments legally own the land which they occupy. Since the 1973 Calder case, it was determined that land is legally owned by the crown only if specific legislation or agreements extinguished Aboriginal title to it. The comprehensive land claims process was established to extinguish Aboriginal title. 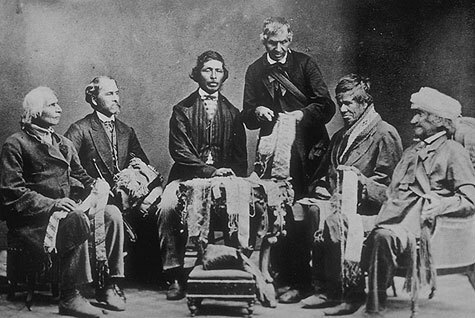 The federal government-created process favors its maker, with Indigenous nations having to alter their culture in order to be successful at negotiating for their land. Parliament should not fear losing authority over the land it occupies, “Canadian sovereignty” has long been a caveat to Indigenous land rights, and the land claims process-creating institution is vital to maintaining Canadian sovereignty. 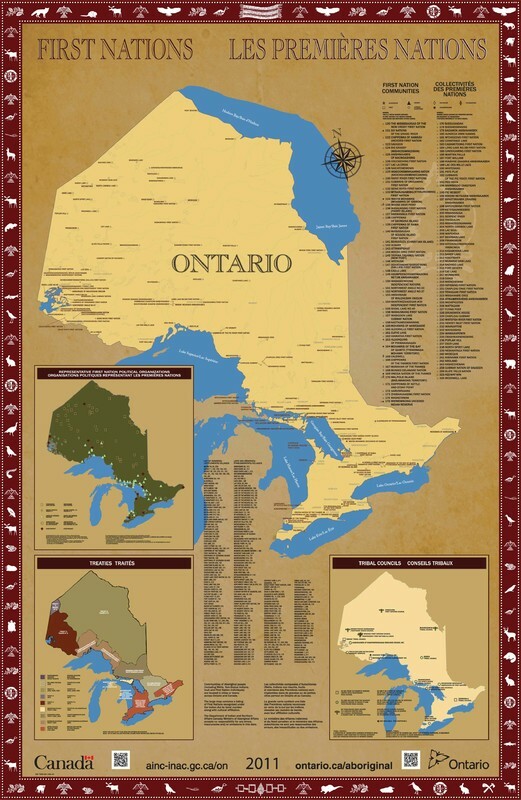 “The Algonquin Land Claim,” Government of Ontario, accessed February 22, 2017, https://www.ontario.ca/page/algonquin-land-claim. “ATRIS: Algonquins of Ontario,” Government of Canada, accessed February 20, 2017, http://sidait-atris.aadnc-aandc.gc.ca/atris_online/Content/ClaimsNegotiationsView.aspx. Christopher Alcantara, “To Treaty or Not to Treaty? Aboriginal Peoples and Comprehensive Land Claims Negotiations in Canada,” Publius 38 (2008): 343, accessed February 23, 2017, doi: 10.1093/publius/pjm036. Colin Samson, “Canada’s Strategy of Dispossession: Aboriginal Land and Rights Cessions in Comprehensive Land Claims,” Canadian Journal of Law and Society 31 (2016): 88, accessed February 23, 2017. Colin Samson, “Canada’s Strategy of Dispossession: Aboriginal Land and Rights Cessions in Comprehensive Land Claims,” Canadian Journal of Law and Society 31 (2016): 90-92, accessed February 23, 2017. Christopher Alcantara, “To Treaty or Not to Treaty? Aboriginal Peoples and Comprehensive Land Claims Negotiations in Canada,” Publius 38 (2008): 346, accessed February 23, 2017, doi: 10.1093/publius/pjm036. 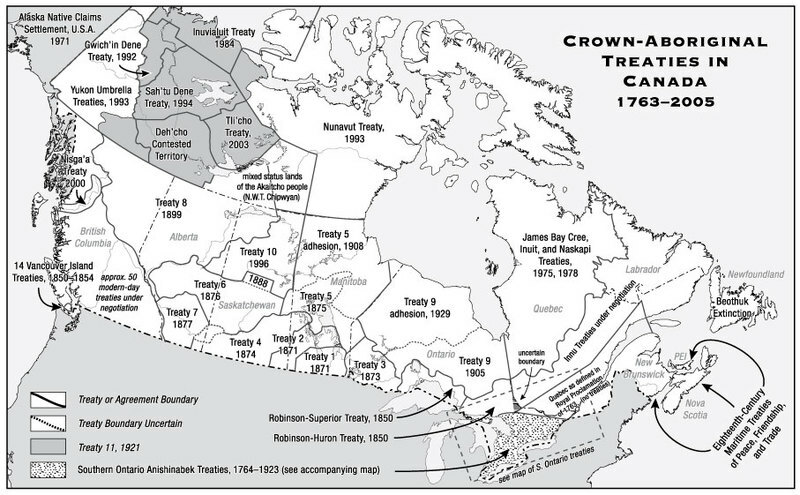 "Crown-Aboriginal Treaties in Canada, 1763-2005"